Did you know that it just takes less than 8 seconds for a visitor to accept or reject a website? Since people’s attention span is consistently being clamour for, how do you ensure that you stand out as the ‘Purple Cow’ in your field? 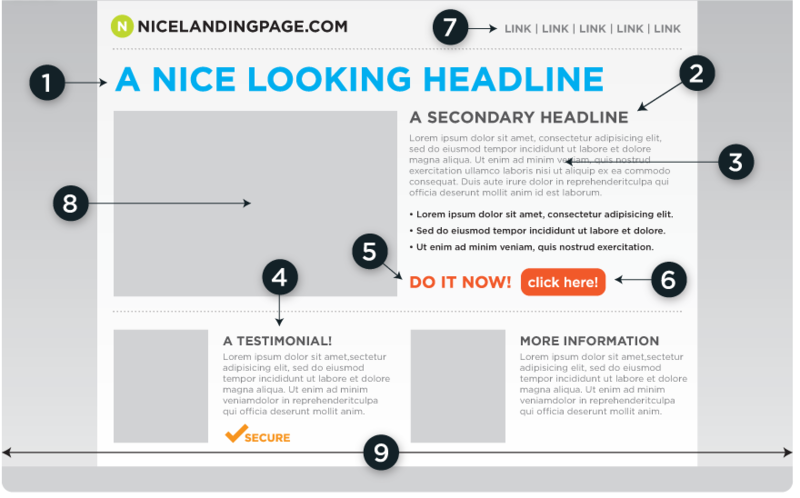 Do you have the right elements on your homepage, your main landing page of your website? Does it raise a visitors attention and desire to trade with you? 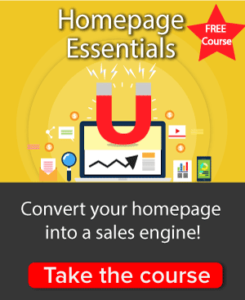 Do you have a captivating headline, engaging content, striking images, call to actions, strategically placed with a right balance of form, function, and features to attract, capture leads, nurture and convert to sales? Can a visitor tell within the first three seconds what your business is and become aware of your value proposition? The headline and logo are simple yet captivating. Visitors instantly know what it is all about. 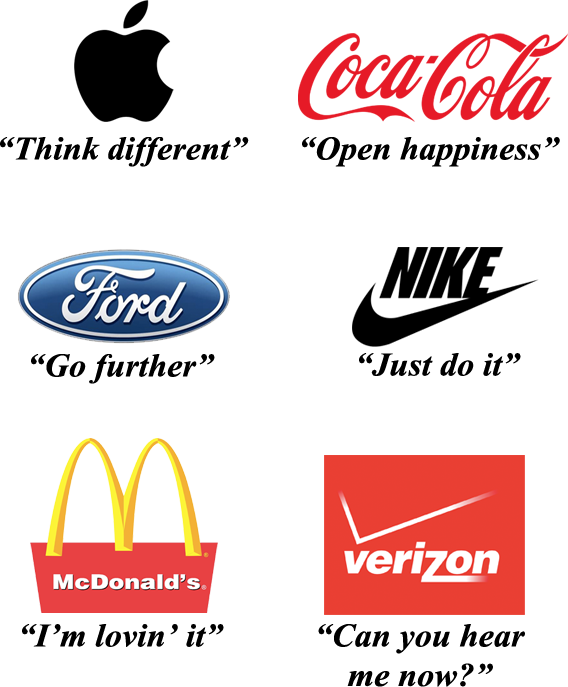 Here is are a few more popular international examples of logo and tagline of brands. 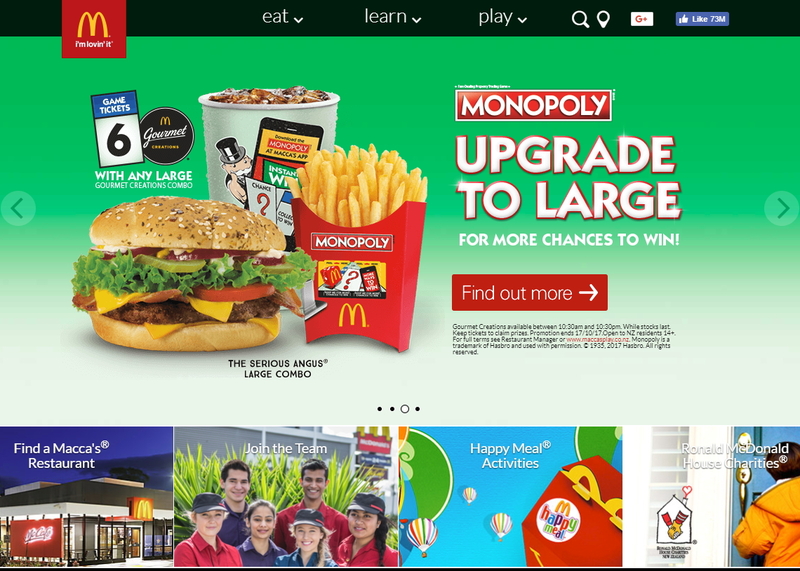 We had a look to see how McDonalds or Macca’s is translating this to their website. Obviously, with such an international and visible presence, their website purpose is very different to a small business. What do you think they are trying to achieve with their online presence? Location, recruitment, upsell offers, public relations, responsibility, and entertainment. 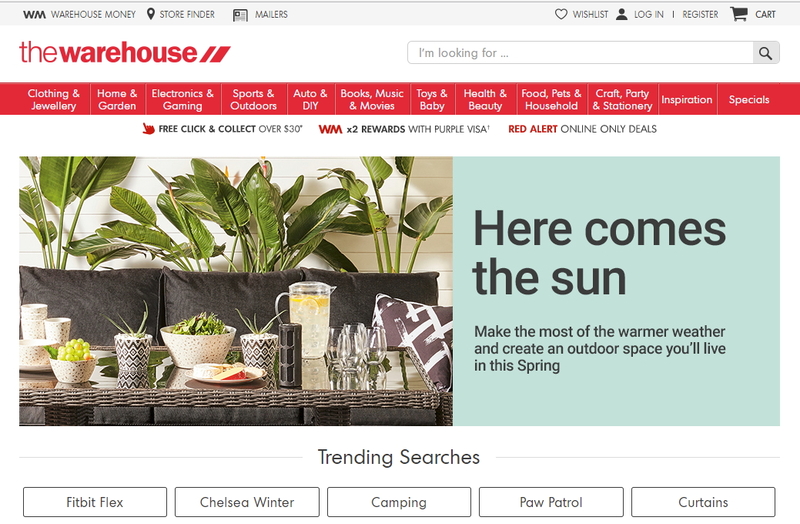 Searching for the top website for New Zealand, The warehouse homepage ranks #36 , which is top for category of general merchandising. With their design and value promise as ‘365 day no fuss returns. free click & collect over $30 – shop online & pick up in your local store. huge range of products.’ Who do you think their persona focus is? Notice the top three product categories are clothing and jewelry, home and garden, and electronics and gaming. We think their top main customers are personas are mothers with school kids, young adults in a new flatting situation and remote shoppers living rural areas. Have a look at your favorite brands and their websites. The other top-ranked sites for New Zealand are categories by auction, media and news and banking websites. The award winners in those categories are Trademe, Westpac Bank and Stuff .co.nz. A website with a simple search bar for the people who are looking for the accommodation with local experiences – perfect design with no fuss, direct search to book home stays in city areas. 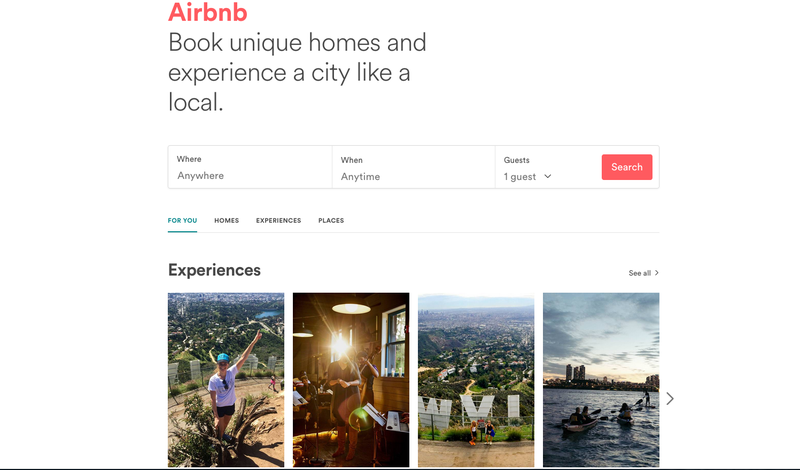 There are accommodation list outside of city areas, though the focus is to travelers that want an authentic stay with local hosts. The Oatmeal offers humorous comics and it’s content is witty, engaging and insanely funny. It instantly connects with the users and engages them thoroughly so that they stick around for a longer time. Subscribe to download the complete ‘9 point checklist’. Receive this and other digital marketing accelerator tips! This free checklist if taken as an introduction to our ‘Get Digital Marketing– Digital Accelerator 12 week program’. A NZTE co-funded training and capability scheme. Take our free marketing assessment, to see if you would like to be part of this our next intake.